Beautiful, glowing Cameo "Plus” obverse and reverse! Matching devices are painted evenly in a bright-white frost that creates incredible black-and-white contrast against deep mirrors. 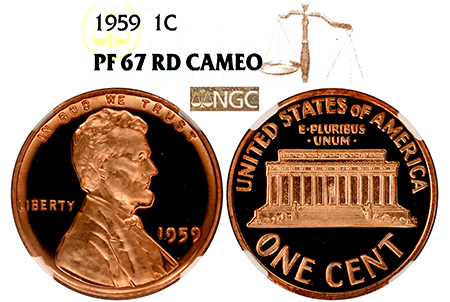 A very scarce find among 1959 Lincolns!